By Cameron Chapman in Social Media. Updated on February 20, 2019 . Either you have a business or some special talent, Facebook page offers a great promotional opportunity. But to make the most of your Facebook page, you need some customization. There are many amazing third-party tools available with which you can host contests, create polls, and sell products etc. so you can better interact with your fans and promote your page. To help you get started, I’m going to showcase over 20+ apps to customize your Facebook page according to your requirements. Pagemodo offers up to 3 highly customizable tabs for just $6.25/month, and the customization tools it offers are quite powerful as well. Apart from tabs, it also offers tools to create custom cover photos, find amazing content, and create graphics for your posts. I personally love Tabfoundry for offering a free version for all of its apps and giving the freedom to only use the apps you need. You can use Tabfoundry apps to create contests, sweepstakes, signup forms, and many other custom tabs. If you don’t mind Tabfoundry branding, then all of these apps are free. The popular online store builder; Shopify, also offers a dedicated feature to directly sell items on your Facebook page. All your items on Shopify store can be easily imported to your Facebook page and will be shown in a dedicated tab. You can directly chat with customers and sell from the chat window as well. ecwid offers a simple solution to open a store on your Facebook page and manage it right from the page. The customers can browse and purchase from the Facebook page. It also helps with advertising on Facebook by offering analytics and ad creation tools. The popular email marketing app AWeber has a widget for Facebook pages to convert your Facebook fans into potential customers. AWeber will offer all the tools to customize your signup form. The email marketing automation tool MailChimp also integrates well with Facebook. Whether you have MailChimp free account or the paid one, you can simply go to integrations section to create signup forms for your Facebook page. We all know the importance of giveaways to attract customers and create mailing lists, and Rafflecopter is probably the most comprehensive tool for conducting giveaways and managing email lists. Apart from the amazing templates and custom themes, you can integrate email lists, add refer-a-friend widget, get analytics, and much more. Work4 helps you create ads on your Facebook page to hire qualified candidates to work with you. It uses different algorithms to market your jobs and helps you quickly go through applications. With Jobcast you can create highly engaging job ads and then share them on social media platforms. It will add a dedicated panel on Facebook showing your job offering. 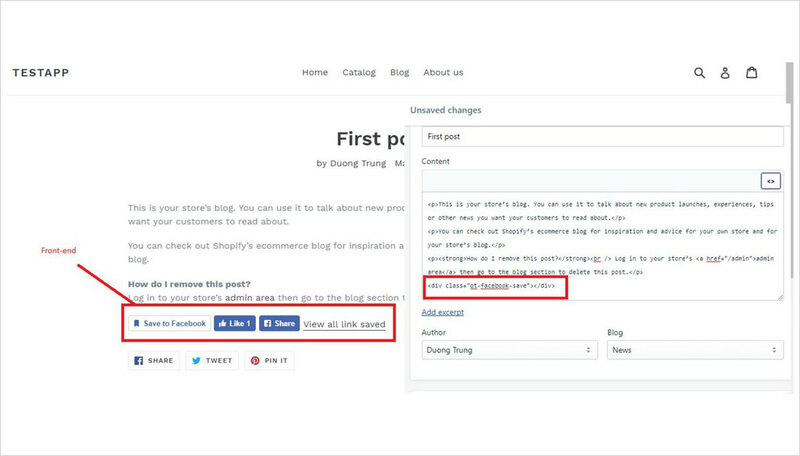 Symphony lets you integrate your blog right inside your Facebook page to share real-time updates to your Facebook page. It also throws in some analytics and automation tools to make things easier. dlvr.it lets you connect your RSS feed to your Facebook page and automatically share content on your page on a defined schedule. It has a sustainable free version as well that should work fine for start-ups. Appreplica is basically created to embed your content from different popular websites to your own website and show it in real-time. However, it also works with Facebook, and you can embed content from over 30 resources right on your Facebook page. A highly customizable app to host contests on your Facebook page. 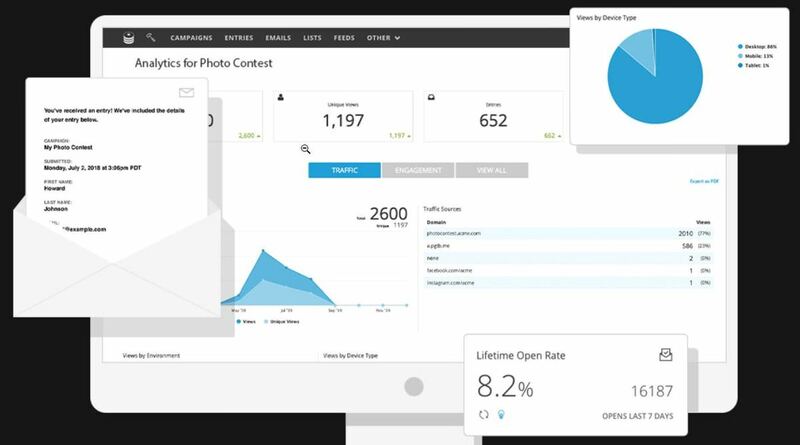 Numerous templates are available to quickly start your contest, and it’s comprehensive analytics tool always keeps you updated with contest stats. Wishpond offers a ton of tools to host contests, including video, photo, essay, vote, caption, Pinterest contests, sweepstakes and more. You can also add a Facebook Like button popup to your contests. Votigo provides many types of contests that are perfect for fan engagement. Some of the contest types include Pinterest sweepstakes, video/photo contests, refer-a-friend sweepstakes, trivia contests, hashtag contests, and many more. SurveyMonkey lets you create surveys using beautiful templates. You can share them with your audience and get automatic analytics on the results. All of this can be done right on your Facebook page by integrating SurveyMonkey tab. Woobox is a collection of 19 apps to customize your Facebook page. It can help set up giveaways, distribute coupons, create contests, polls, quizzes, surveys and much more. You’ll get a YouTube tab and Pick a Winner app for free. These are a bunch of apps that focus on rebranding your page to your business’s theme. From the cover photo to the footer, everything can be customized using templates, labels, custom logos, tabs, and links, etc. This is basically a customer engagement suite that integrates well into your Facebook page. It can create solutions to make it easy for customers to contact you, create polls and questionnaires to foster engagement and everything else that could make customer relation better. Antavo offers many tools to gain customer loyalty, including purchase driven, gamified, mobile and online loyalty programs. You can reward customers for buying from you, create unlockable rewards, memberships, quizzes, contests and much more. All of this can be done right on your Facebook page. Ripe Social completely focuses on customizing your Facebook page to make it unique and attract visitors. It offers a highly customizable welcome page creating app along with 10 more apps to customize your page. You can create contests, distribute coupons, create custom actions, embed content, and much more. TabSite has a bunch of apps for websites and social media, and many of them work with Facebook. Some of the supported apps include group deal, coupon, survey, sweepstakes, photo/video contests, YouTube tab, email signup, and an RSS app. Hootsuite also has an amazing analytics tool that works directly on your Facebook page. As soon as it is activated it will start showing real-time analytics in a sidebar including engagement, likes, demographics and much more. LiveChat lets you add a live chatting box on your website or a social media account, including Facebook. You can create a customizable live chat box that users can interact to directly chat with you. It’s definitely a great way to engage with customers and clear their doubts. Tradable Bits offers a Fan CRM solution that is dedicated to collecting information about your fans on social media networks. It can create fan profiles based on demographics, interests, comments, likes, purchases and other engagements. All the information is shown on your Facebook page in real-time. Decor is all about adding handy widgets and changing the appearance of your Facebook page. You can add a map, website, permanent images, payment options, different color panels, Like button, and much more. Facebook page cover photo is the first attraction your visitors see, and Canva is probably the best tool to create a custom Facebook page cover photo. It offers thousands of templates and images, and most of them are available for free. You can use its simple drag-and-drop editor to create the perfect cover photo. These apps should help make your Facebook page stand out and get more leads. Although most of these apps are paid, but some of them also have free packages that are quite sustainable, such as Tabfoundry. Which one of these tools for customizing Facebook pages you like? Share with us in the comments.